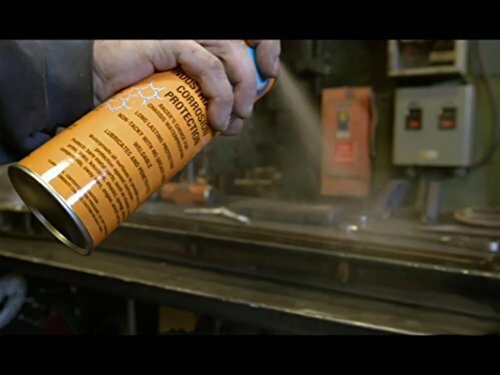 Mavcoat Steel Shield is designed and manufactured in California to be environmentally friendly to provide powerful rust and corrosion protection for all metals while offering superior lubrication for all moving parts. The barrier provides long lasting protection against corrosion and any natural elements that may come into contact with the surface. Mavcoat Steel Shield not only prevents rust and corrosion, but also penetrates the metal and prevents it from forming at the source. Mavcoat Steel Shield is the #1 choice for extreme off-road racers. It was designed to create a barrier against the punishing environments to provide the ultimate protection for bare metals. This same coating is now used in all types of applications from household gardening tools to RV's and big rig trailers. Unlike others MAVCOAT STEEL SHIELD includes a technology that allows you to see a light blue tracing dye where the coating has been applied.